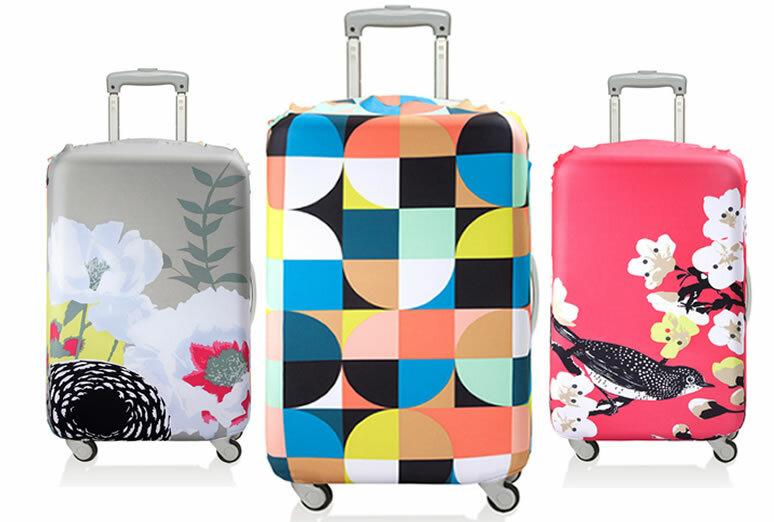 Have you ever been tempted by boldly patterned luggage that would stand out in a sea of black on a carousel, only to wince at the ‘no turning back’ permanence of its soon-to-be outré design aesthetic? Enter the Echo Luggage Cover; durable enough to protect your luggage from water and fading (and possibly light-fingered baggage handlers) while standing out from the crowd … but only for as long as you want it to! Also a great way to spruce up a well-worn but fully functioning piece of luggage that does as much for your sense of self worth as a pair of Cottontails with the elastic going. This entry was posted in Gifts, Travel and tagged luggage, shopuntil.com.au, Travel by Lucia. Bookmark the permalink.